Home > Mayan Gold – Mexican Seasoning Mix. 70gm. 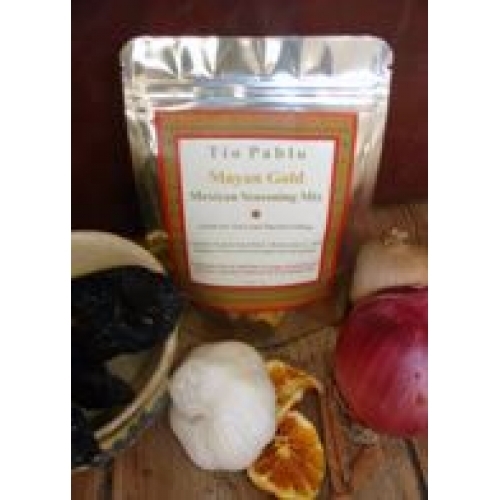 With hints of orange, dried plum and cinnamon, this Ancho Poblano chili spice mix adopts a traditional Oaxacan blend to create an intense, yet mild flavour that is traditionally found in fillings for tacos, burritos and tostadas. This hand-crafted mix is made from fresh ingredients, using certified organic wherever possible. Each 70gm packet is good for 3 meals..